How is everyone doing? I hope, above all, that you're having fun. On my end, I have had little time to read. It seems like every time I host one of my read-a-thons, my week decides to get extra busy. I managed to make it around to most of your blogs, but I'm still working on it so bear with me. So, let me know how it's going for you. Share a link to your update below or just update us in the comments. Be sure to stop by and check out the prize page. The lovely Gale Martin, who donated her book for the giveaway, contacted her manager and we now have five more books for the giveaway and an extra copy of Gale's. Woot! There's a tab at the top for the prize page. Don't forget about tonight's chat at 8:00pm CST. This is the prize promotion page for all the prizes being given away for the read-a-thon. We have a couple of amazing book prizes donated from some very generous authors and one from me! At the end of this post, you will find details regarding how the prizes will be awarded at the conclusion of the read-a-thon. Note: If you do win one of the book prizes by these fine authors, a review on your blog and/or on Goodreads and Amazon would be appreciated. Thanks! In Gale Martin’s newest novel, Ellie Overton is a 28-year-old rest home receptionist with a pussycat nose who also happens to be gaga for the pop singer Tom Jones. Regrettably single, she is desperate to have a white-hot love relationship, like those she’s read about in romance novels. 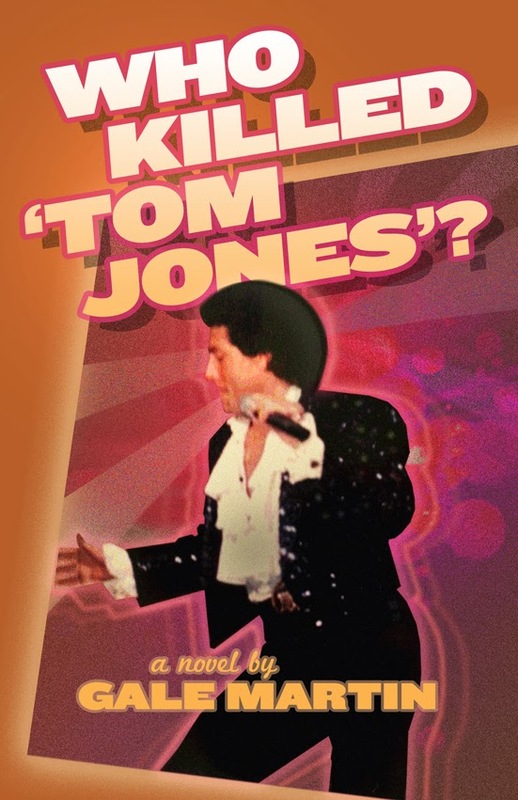 Following an astrological hunch, she attends a Tom Jones Festival and meets an available young impersonator with more looks and personality than talent. Though he’s knocked out of the contest, he’s still in the running to become Ellie’s blue-eyed soul mate—until he’s accused of killing off the competition. It’s not unusual that the handsome police detective working the case is spending more time pursuing Ellie than collaring suspects. So, she enlists some wily and witty rest home residents to help find the real murderer. Will Ellie crack the case? Must she forfeit her best chance for lasting love to solve the crime? Gale Martin is an award-winning author of contemporary fiction who plied her childhood penchant for lying into a legitimate literary pursuit during midlife. In 2011 Booktrope Editions published her debut novel DON JUAN IN HANKEY, PA, a humorous backstage story about an opera company trying to stage Don Giovanni, which was named a “Best Kindle Book of 2013” by Digital Book Today. GRACE UNEXPECTED (2012) features a professional woman with a heart of fool’s gold, who unexpectedly gets entangled in a love triangle. Gale regrets never having the chance to throw a single unmentionable at Sir Tom Jones or one of his tribute artists. She has an MA in creative writing from Wilkes University. You can find out more about her at her website: http://galemartin.me. The night the barrier between the dead and the living is as thin as muslin. Fourteen-year old Josie, haunted by the death of her mother, leads her best friends to an ancient cemetery to rub graves. Convinced she will come away with proof of her mother’s spirit at last, the evening takes an unexpected turn as the teens gravitate four ways into the haunted grounds. 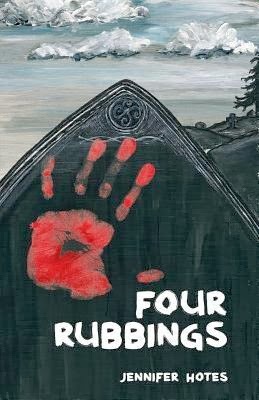 Set against the backdrop of the rainy Pacific Northwest, four graves will be rubbed, touching off a series of events that will rattle their once mundane lives. From the lonely World War II hero to an accused witch, the people buried beneath the stones have stories that need an ending. The journey to unravel the mysteries leaves the friends wondering if the graves would’ve been better off left alone. Raised across the river from a nuclear reactor, Jennifer thought two-headed animals at the county fair were normal until she moved to the big city. Jennifer has been looking at the world through a cracked kaleidoscope since she was born and has been writing since her parents pushed her crib against a blank wall. You can find the writer/illustrator most days in her loft, sketching for the Inventor-in-Training series, or jotting down random thoughts. Fortunate enough to marry her best friend, she and her husband currently reside in the Seattle area with their two daughters, two cats and one unruly puppy. Jennifer is a board member for Providence Hospice of Seattle Foundation and chairs the organization’s largest fundraiser, the annual luncheon. She loves supporting this group of social workers, nurses and chaplains as they walk with families through the hardest path life offers. 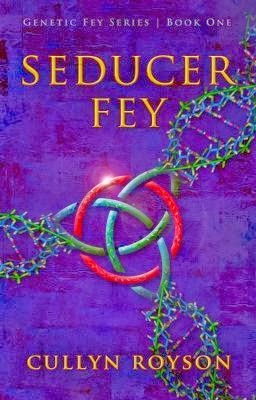 When the fairies of Celtic mythology are combined with genetic engineering, youth and charisma can be sold. The mid-twenty-first century has brought about advancements for social justice and genetic engineering. Fluid gender identity and sexuality are widely accepted in society. The scientific quest for immortality is more popular than ever. Physical appeal, however, isn’t just about youthfulness. Any researcher who discovers the secret to charisma will make millions. 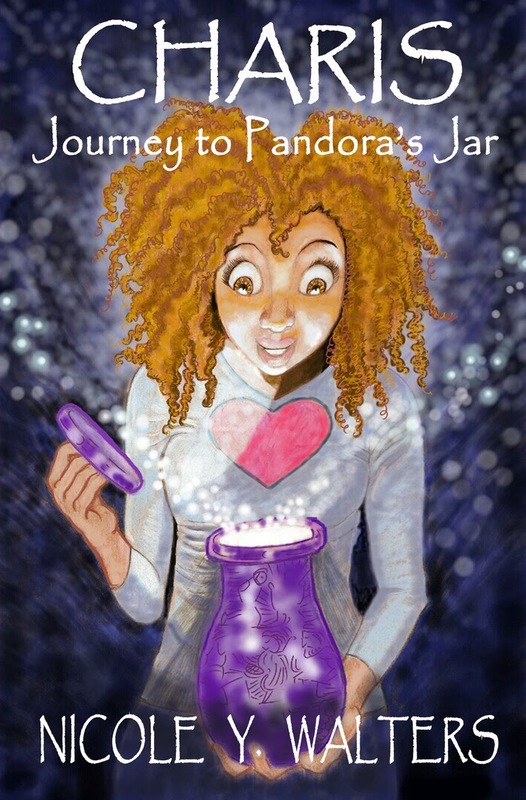 During a prospective college visit to Dalhousie University, Danny and her crush, Cassidy, are invited to the home of an eerily captivating student named Taban. There Danny learns that her DNA could be used to create a form of genetic therapy to give people longer lives for a hefty price. Danny’s life is at risk because her rights to her DNA would get in the way of this plan. Cassidy vows to protect her friend. Unfortunately for the two young women, Taban has other motives. Cullyn Royson is a twenty-two year old graduate of The Evergreen State College. A combination of biology classes, swimming, fencing, and martial arts helps to inspire Cullyn’s writing. As a child and teen Cullyn performed magic tricks and made balloon animals for school talent shows. In RUNNING SECRETS, flight attendant Chris Stevens is bent on self-destruction until she meets Gemi Kemmal, an Ethiopian home healthcare provider. Gemi and Jake, a paramedic, help Chris heal from and confront her difficult past, and regain a passion for living. In the process, Chris and Gemi forge an unusual friendship that bridges cultural, racial and age differences. Their friendship gives both women the support each needs. Gemi comes to question restrictive traditions dictating her immigrant life, such as the headscarf she’s worn since entering puberty and the celibacy she’s practiced since the brutal death of her husband and infant in the violence that destroyed her homeland and family. Chris uncovers family secrets that challenge everything she's ever known to be true. Together the women learn that racial identity is a choice, self expression is a right, and family is a personal construct. Arleen Williams is the author of The Thirty-Ninth Victim, a memoir of her family’s journey before and after her sister's murder. She teaches English as a Second Language at South Seattle Community College and has worked with immigrants and refugees for close to three decades. Arleen lives and writes in West Seattle. 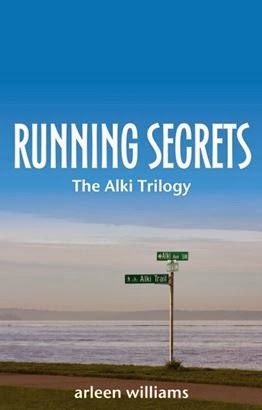 Running Secrets is her first work of fiction as well as the first book in The Alki Trilogy. To learn more, please visit www.AlkiTrilogy.com. Jane Smith is as ordinary as her name…except for her innate and special ”talent” that allows her to separate fact from fiction. Known by her friends as the “human lie detector”, Jane can call you on every fib – when she’s courageous enough to stir up a bit of controversy. Unfortunately, her ability usually gets her in more trouble than it’s worth. Lucien is a high-class art forger and thief with 700 years of experience under his immortal belt. Five brief years in the making, he has finished his latest masterpiece – an exact replica of a multi-million dollar bronze sculpture. This latest piece now resides in Atlanta’s High Museum of Art having been switched for the genuine at his restoration business. As luck would have it, the minute Jane enters the exhibit, she recognizes the fake. Overcoming her usual shyness, Jane can’t help but comment on the impressive imitation, shocking Lucien with her knowledge and leading him to challenge her accusations. While distracted by their argument, they are kidnapped by one of Lucien’s unhappy customers – someone who suspects the goods he received are less than genuine. When Jane is mistaken for Lucien’s girlfriend, they are both ensnared in a ruthless plot of high stakes acquisition and murder by the maniacal former client, a black market art buyer. How many people will die before Lucien and his ancient family of co-conspirators can free themselves from the modern world’s most vengeful villain: an unsatisfied customer. T. K. Lasser picks up stakes every few years to see something new, if not pleasant. She can be found typing to ease a creative mania that would otherwise be spent on disastrous DIY and ear-splitting ukulele performances. Her family is supportive and enthusiastic about this whole writing thing, and for this she is extremely grateful. Two One winners will each receive a $5 eGift card from Amazon. Giveaway Details: This is a read-a-thon participant only giveaway. 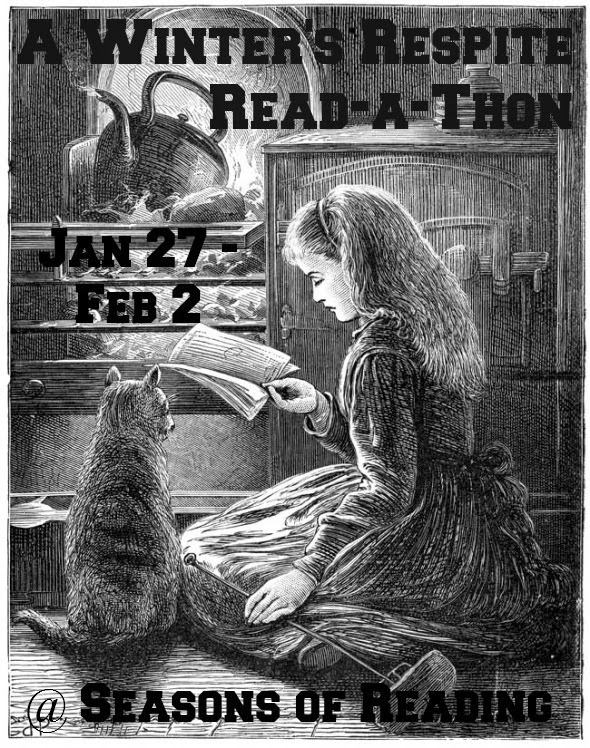 To be eligible, you must sign in at the starting line post when you start to read and complete a wrap-up post at the end and link it here at Seasons of Reading at the official read-a-thon wrap-up post (I will give everyone until Tuesday (2/4) at 11:59pm CST to complete their wrap-up posts). We have a total of 15 prizes. This means there will be 15 winners. The first winner chosen will get first choice of all prizes listed and I will continue in this manner until all 15 winners are drawn. All eBook prizes will be sent to winner via email as Kindle gift, or as a ePub or mobi file. Winners will be chosen after the wrap-up post deadline (see above) using random.org. Welcome to the starting line! Are you ready for some relaxing winter reading? Be sure to sign in here, at the beginning, or when you start reading this week. Remember, you do not have to have a blog to join us. You can sign in linking to Facebook, Twitter, Goodreads...wherever you will be updating from. And you don't have to start at the beginning. Start on any day this week, or if you're working all week, join us for the weekend. People can sign in up until Friday night at 11:59pm CST. I'll be stopping by and visiting you so I hope you will have your book piles/reading lists posted. Also, a reminder that I do allow children's books. Any books are allowed. 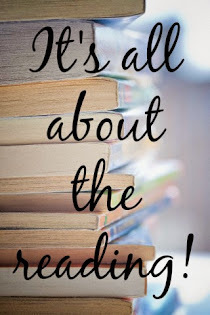 In my opinion, it's the quality of what we read that counts, not the quantity so no pressure to read vast amounts, unless you just really, really want to, or if that's how you roll (you know who you are!). If you want to read the original sign-up post, you can take a look HERE. I will have the prize page posted during the day on Monday (or Tuesday) so come back here to find it. Unfortunately, I only received a couple of prize donations, but I will also offer a prize, as usual. Be sure to sign in and complete a wrap-up to be eligible for the giveaway. I will have easy access links at the top of the blog to the prize page, the sign-in post, etc.